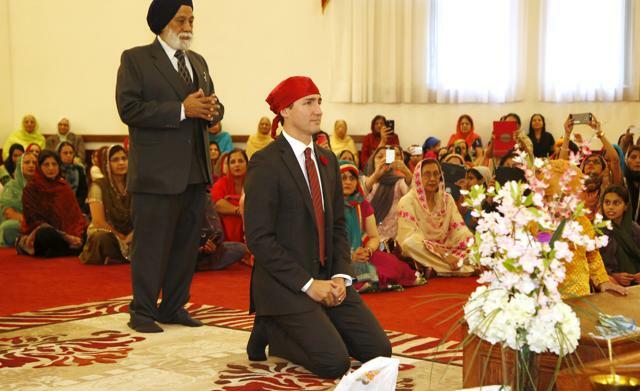 Canadian Prime Minister Justin Trudeau, known for his witty repartees, told an American audience here that he has more Sikhs in his Cabinet than his Indian counterpart Narendra Modi. The quip came when Trudeau was taking 10 questions from students at American University in northwest Washington during his state visit to the US. During the half-an-hour session at the university on Friday, a student named Jahan from the Punjab province of Pakistan told Trudeau that it was really great to see so many Punjabis in his Cabinet. “I have more Sikhs in my Cabinet than Modi does,” Trudeau was quoted as saying by the Canadian daily ‘The Star’. The 44-year-old Trudeau, who assumed office in November last year, surprised one and all by including four Sikh-Canadians in his Cabinet. The four Sikh-Canadians inducted into Trudeau’s Cabinet include Defence Minister Harjit Sajjan, a combat veteran who did three tours in Afghanistan as a member of the Canadian Armed Forces. Apart from Sajjan, the other three Sikh ministers are: Infrastructure Minister Amarjeet Sohi, Small Business Minister Bardish Chagger and Innovation Minister Navdeep Singh Bains, Canadian daily ‘The Globe and Mail’ had reported at the time. There were also 17 Sikh MPs elected in the election in Canada in October last year — 16 from the Liberal Party of Canada and one Conservative — the highest number of Sikhs ever elected. In contrast, there are two Sikh Cabinet ministers in the Modi government — Maneka Gandhi, who is a Sikh by birth, and Harsimrat Kaur Badal who is the Food Processing Minister. 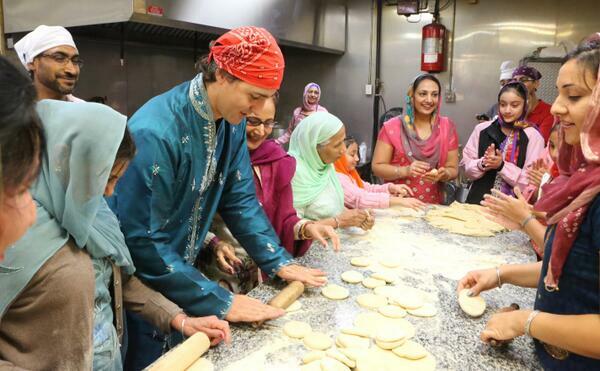 Trudeau, in the past, has been spotted doing bhangra moves and visiting gurdwaras several times. He has also participated in Diwali celebrations apart from a ‘Gurbani’ recital. He has even helped out women in preparing meals in a langar. Asked why he sought female-male parity in Cabinet appointments, Trudeau said, “It’s 2016, guys.” Trudeau’s three-day visit to America that concluded on Friday was aimed at rejuvenating the Canada-US ties. Trudeau carries one of the most famous names in Canadian political history. His late father was Prime Minister for the better part of 16 years, between 1968 and 1984, and remains the rare Canadian politician who is recognised in America. During his interaction at American University, the students did not let Trudeau get away with his now-standard poker-faced line on Republican Presidential front-runner Donald Trump.